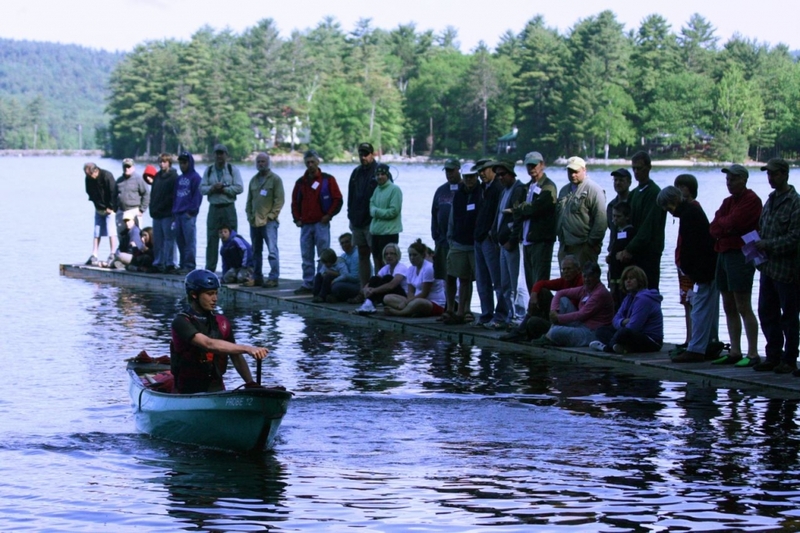 Peter Marshall and Jim Andrews will headline this year’s Maine Canoe Symposium, now in its 27th year, taking place June 7-9 in Bridgton, Maine. The Symposium features events, workshops, special guests and children’s activities, and as always, is designed for all levels and ages of paddlers to enjoy. The Symposium allows participants of all ages to develop an understanding and appreciation of the diversity of North American canoeing heritage and to develop canoeing and related skills through educational workshops, presentations, and hands-on instruction. The Maine Canoe Symposium has been taking place at Camp Winona on Moose Pond in Bridgton, ME, since 1986. Each year our pro staff of canoeists gather at this volunteer-run, non-profit weekend to share their skills with about 150 participants from all over the region. They offer more than 50 dry-land and on-water workshops in paddling, poling and wilderness camping technique. Becky Mason and Reid McLachlan will be on hand to teach paddling technique, in addition to the renowned kids program and womens program. Visit www.mainecanoesymposium.org for more information. Next articleMTI Adventurewear Anounces Partnership with ACA.